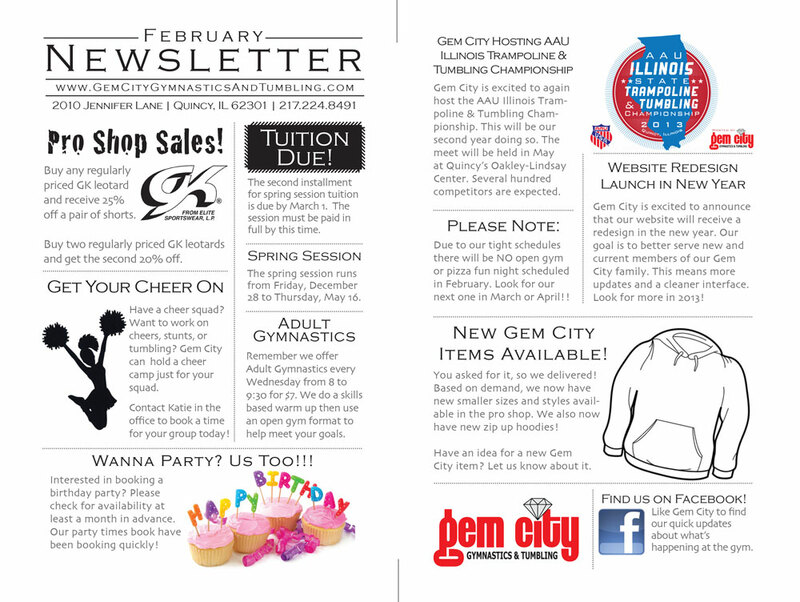 On February 9th and 10th Gem City competed at the Tumbling & Trampoline Winter Circus meet. It was hosted by the YMCA of Edwardsville. It was a great meet that ran ahead of schedule. We really loved this. This was especially impressive considering over 900 athletes competed! Needless to say the competition was fierce, but we fared well. Scroll dow to read the results. Oh! As an added bonus you’ll find a video of one of Mick Bramlett’s passes below! Enjoy. Did you guys know that Gem City’s head tumbling coach, Zeke Cernea, sings? Read about in the Quincy Herald-Whig today (Thursday, February 7, 2013) or on theLocalQ.com in a story by Rodney Hart. 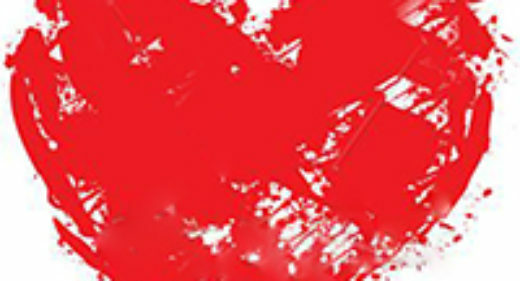 Visit Zeke’s website and click the My Soundcloud link to hear some of his music. Here’s the February 2013 newsletter. 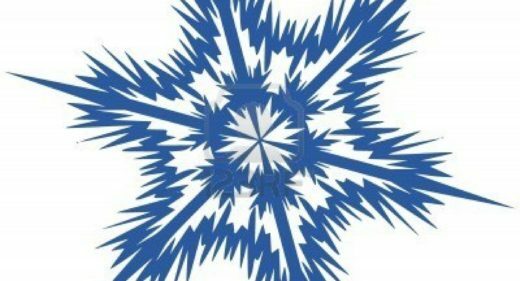 Sick of watching your daughter’s hair fall in her face during practice? Us too. Try this. It’s the perfect ponytail for your little gymnast! 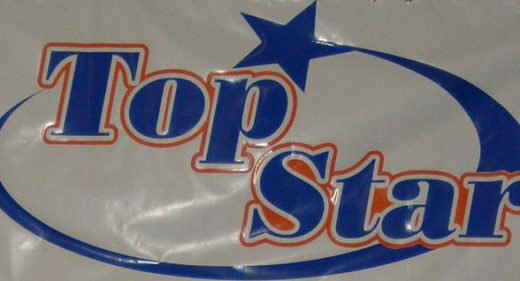 Top Star Training Center hosted the meet in Champaign, Illinois. This past Sunday, January 13, the Gem City tumbling team competed at large invitational meet in Champaign, Illinois. Our Gem City athletes did great! This meet is one of the biggest meets of the season with over 700 competitors in attendance and many other strong tumbling programs represented. Needless to say, we’re proud of their performance. Please read the results below to find out how individual athletes placed. **Psst… We like to include photos in our blog posts. 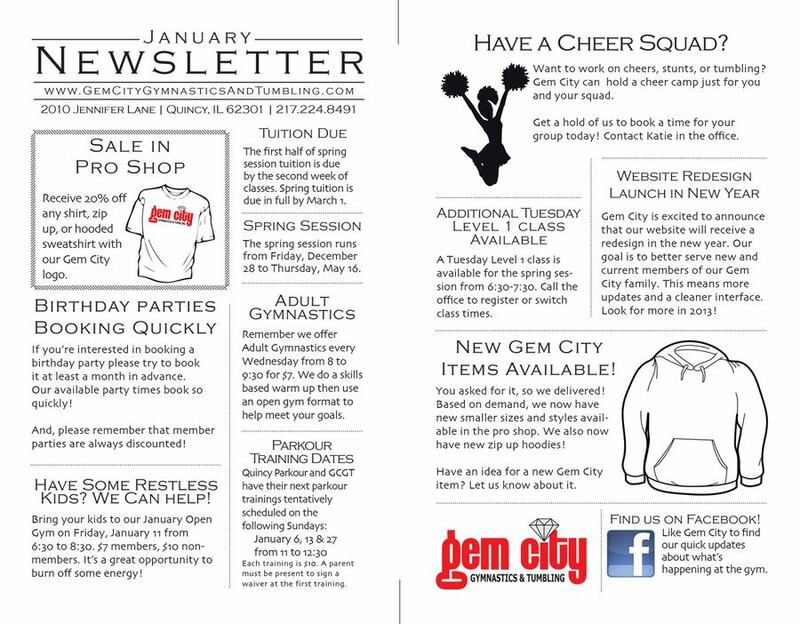 Send your photos or videos to gemcitytumbling (at) gmail.com if you ever want it shared here on our blog or tag us on Facebook. Please note that both our blog and Facebook are public. 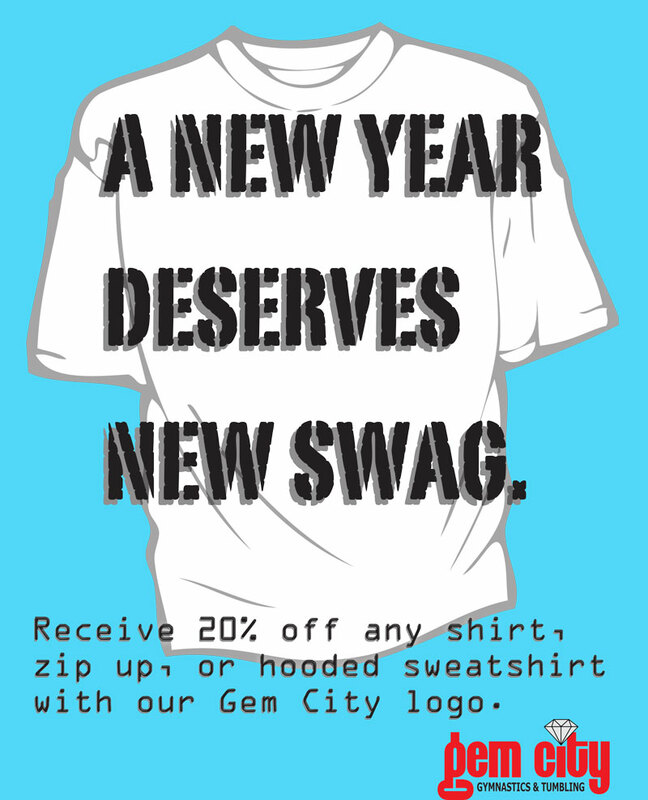 Receive 20% off any shirt, zip up, or hooded sweatshirt with our Gem City logo. Stop in our pro shop today! 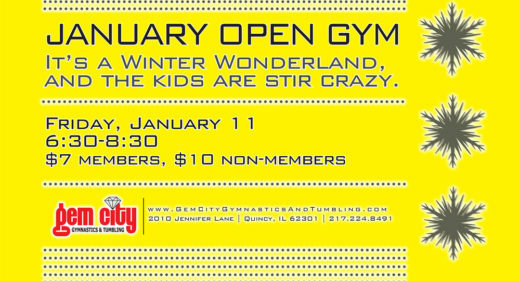 OPEN GYM this Friday, January 11, 2013! 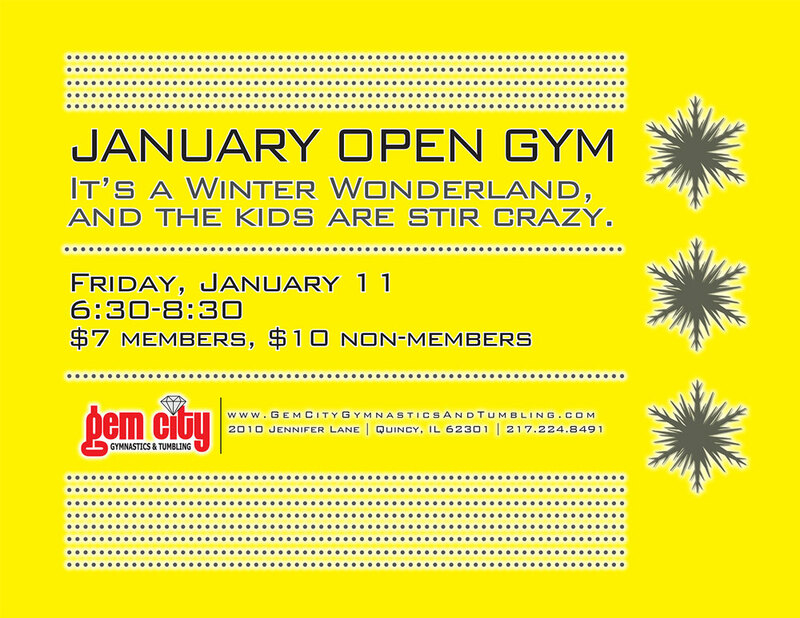 6:30-8:30 $7 for members, $10 for non-members. Ages 4-14. Parent must be present to sign waiver. PIZZA, SODA, CANDY, GAMES, & FUN! Bring your siblings, friends, or neighbors! School is in full swing and fall weather is fast approaching, so what better way to start off the school year than a Pizza Fun Night at Gem City!?! 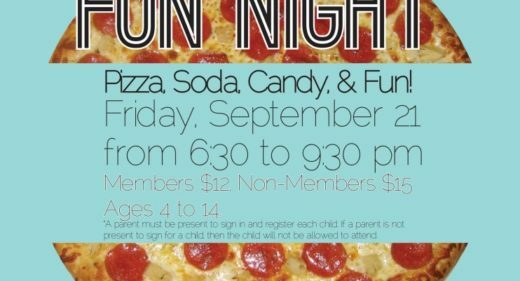 The Pizza Fun Night will be Friday, September 21 from 6:30 to 9:30 pm with pizza, soda, candy, and fun! This is ages 4 to 14. 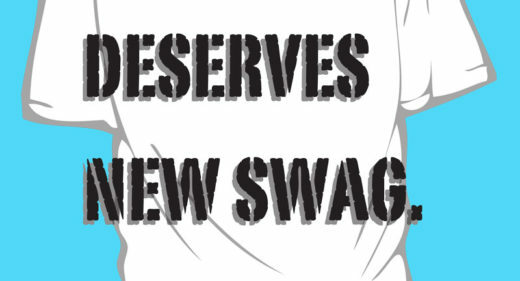 Cost is $12 for members and $15 for non-members.